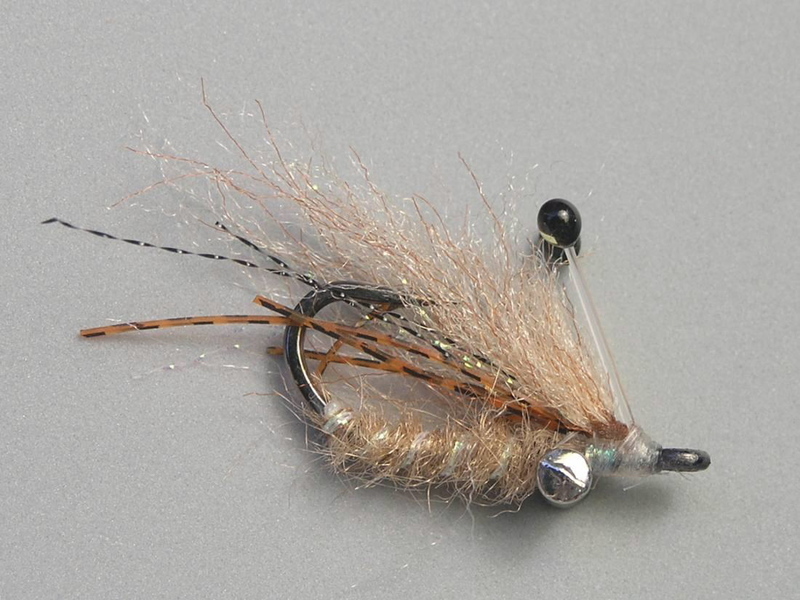 Enrico's Ghost Shrimp is an excellent modern design, and a perfect addition to any bonefish box. Both lead eye and bead chain eye versions are available to cover a variety of water depths, and this fly is tied in three color schemes for fishing over a variety of bottom types. 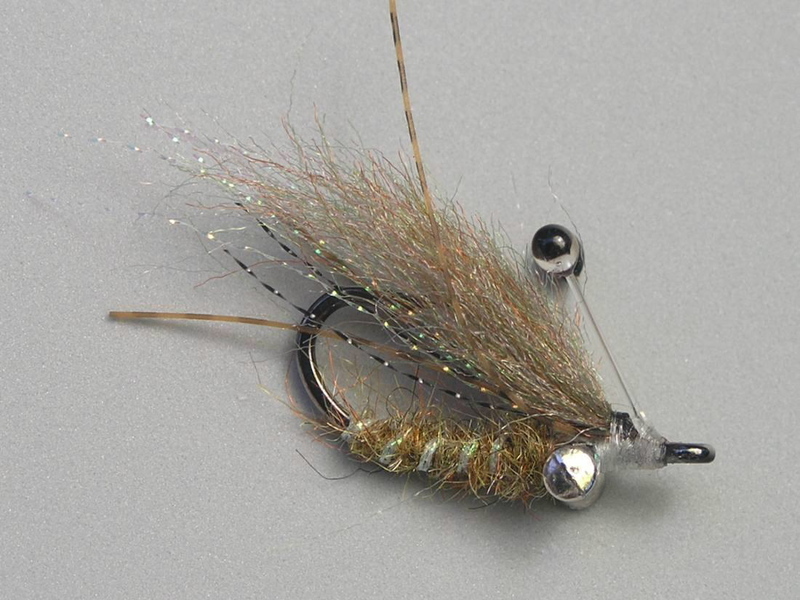 The sparkly fibers create a nice amount of reflection without being too "flashy" - an excellent trait for fishing in areas where fish have seen a lot of brighter flies. The Ghost Shrimp features a great-looking set of crustacean eyes which also form a weedguard - great for fishing areas with snags. 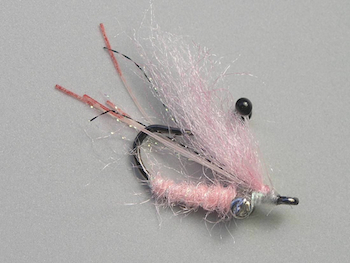 The larger size (#2) of this fly can also serve quite well for redfish, seatrout, and other estuary dwellers. With it's rubber legs and buggy eyes, Enrico's Ghost Shrimp can also double as a very good imitation of a small crab. The "Lead Eye" version is pictured above - click the photos to see the flies close-up. The #2 Ghost Shrimp measures approximately 2 inches long (5 cm); the #6 fly measures approximately 1 1/2 inches (4 cm) long. The "Lead Eye" version is heavier than the "Bead Chain Eye" version. Similar patterns: Enrico's Spawning Shrimp. Tied by Enrico Puglisi LTD.